Dedham I — Nawada Landscape Design, Inc. 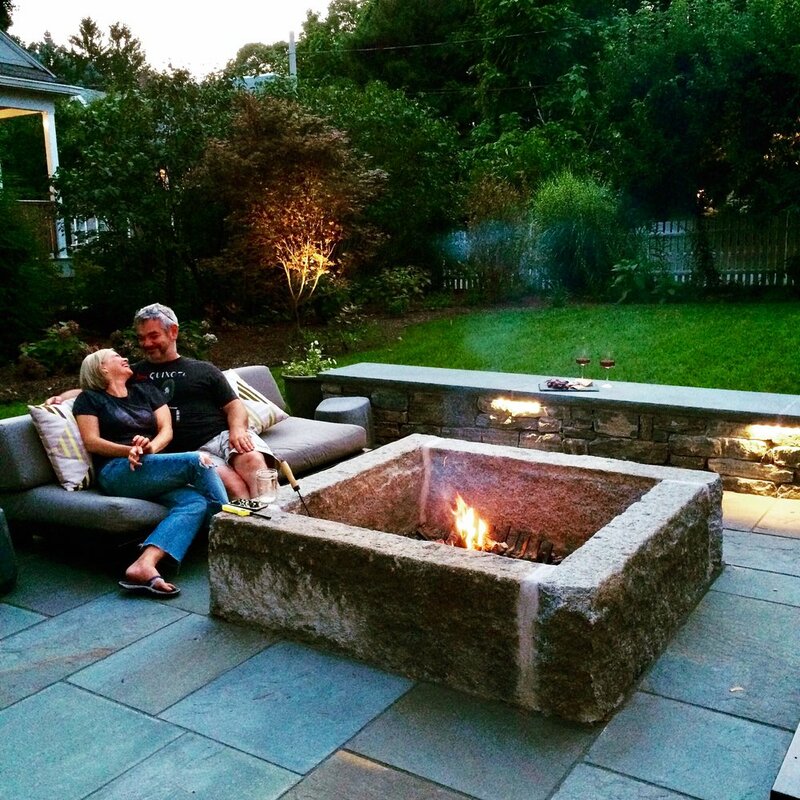 The request for an outdoor wood burning pizza oven and bluestone patio in the heart of a residential neighborhood in Dedham, evolved into an open-air cooking, dining and living space. The new outdoor rooms featured a reclaimed granite firepit, a new deck and pergola, a custom-built pizza oven, a natural-cleft bluestone patio, a fieldstone sitting wall, and new plantings to soften the hardscapes. Most importantly, we addressed a major drainage problem while containing and managing the water on site. Removing the existing Norway Maple allowed us to install a drainage system and regrade the existing earth to alleviate any standing water issues. The fieldstone sitting wall, bluestone patio, pizza oven, deck, and firepit were all elements used to articulate the structure of the new space. New plantings, irrigation and outdoor lighting were all incorporated to complete the project.